Instant absorption for soft beautiful skin NEUTROGENA® Norwegian Formula® Deep Moisture Gift Set. 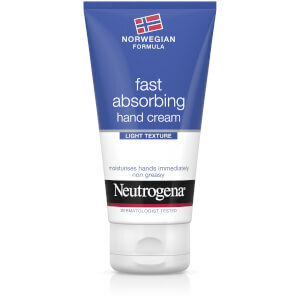 Containing NEUTROGENA® Norwegian Formula® Deep Moisture Body Lotion which is clinically proven to deliver moisture up to 10 layers deep* into the outer layers of the skin. 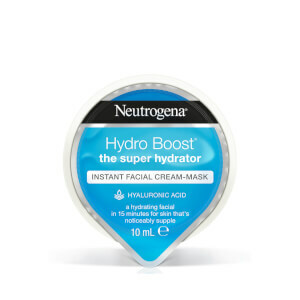 NEUTROGENA® Norwegian Formula® Deep Moisture Comfort balm for more intense nourishment with the added benefit of shea butter and NEUTROGENA® Fast Absorbing Hand Cream or instant absorption with a non-greasy formula. Body Lotion: Apply daily to the whole body, ideally after a bath or shower. Comfort Balm: Apply every day all over the body. Can also be used on the face. Hand Cream: Apply daily. Massage into hands. Body Lotion: [PR-013926] Aqua, Glycerin, Paraffinum Liquidum, Isopropyl Palmitate, Petrolatum, Dimethicone, Stearyl Alcohol, Dimethicone, PEG-100 Stearate, Glyceryl Stearate, Ethylhexylglycerin, Palmitic Acid, Stearic Acid, Ammonium Acryloyldimethyltaurate/VP Copolymer, Acrylates/C10-30 Alkyl Acrylate, Crosspolymer, Disodium EDTA, Sodium Hydroxide, Phenoxyethanol, Parfum. Comfort Balm: [PR-007607] Aqua, Cyclopentasiloxane, Glycerin, Cetyl Alcohol, Dimethicone, Caprylic/Capric Triglyceride PEG-100 Stearate, Glyceryl Stearate, Butyrospermum Parkii, Sodium Acrylate/Sodium, Acryloyldimethyl Taurate Copolymer, Isohexadecane, Stearyl Alcohol, Myristyl Alcohol, Polysorbate 80, Acrylates/C10-30 Alkyl Crosspolymer, Sodium Hydroxide, Phenoxyethanol, Methylparaben, Propylparaben, Parfum. Hand Cream: [PR-014423] Aqua, Glycerin, Paraffinum Liquidum, Isopropyl Palmitate, Dimethicone, Stearyl Alcohol, Glyceryl Stearate, PEG-100 Stearate, Panthenol, Ethylhexylglycerin, Palmitic Acid, Stearic Acid, Ammonium Acryloyldimethyltaurate/VP Copolymer, Acrylates/C10-30 Alkyl Acrylate Crosspolymer, Disodium EDTA, Sodium Hydroxide, Tocopheryl Acetate, Phenoxyethanol, Parfum.